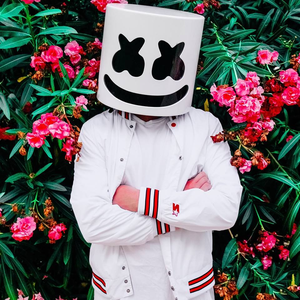 Chris Comstock, better known by his stage name Marshmello, is an American electronic dance music producer and DJ. He first gained international recognition by remixing songs by Jack Ü and Zedd, and later collaborated with artists including Omar LinX, Ookay, Jauz and Slushii. In January 2017, his song "Alone" appeared on the U.S. Billboard Hot 100 chart.